These beautiful frames are hand painted in a distressed fashion and can be done in any color scheme you would like. 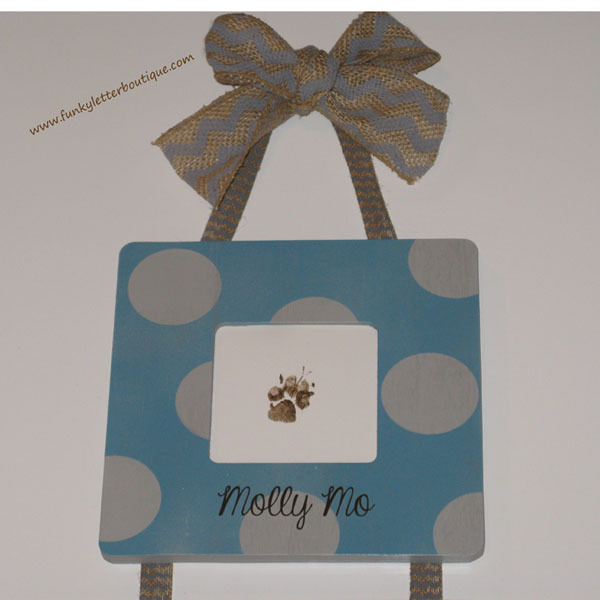 The colors used for frame pictured are robin's egg blue and grey. Patterns will include one polka dot, one lattice and one chevron frame attached with an adorable chevron burlap ribbon. Names can be added to the frames for no extra charge, please list names in message section below.